When asked to define prayer, I generally assume that every Christian could give me the right answer; that it is the way we communicate with God by speaking to him. When we become Christians, we enter a new relationship with God, and he communicates to us through his Word, and one of the ways that we respond to him is through prayer. When we pray we are talking to the lover of our souls, God. This relationship ought to then shape and motivate our prayer lives. In our own human experiences, how we talk to people and what we say to them will, to a large extent, be governed by how well we know them. The better we know the person, the more intimate our speaking will be. 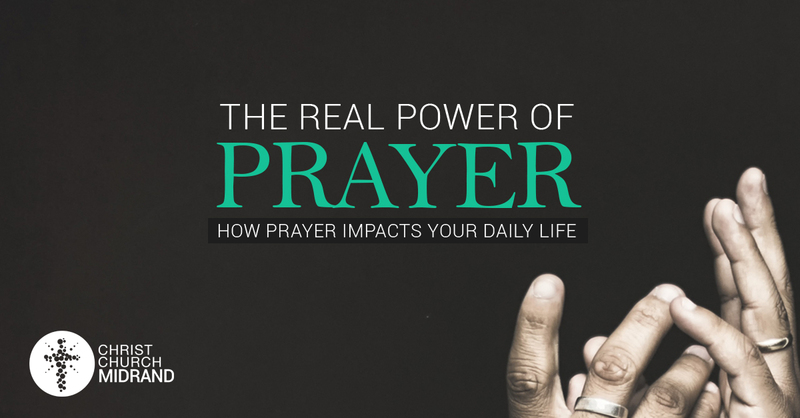 Rightfully so, how well we know God will greatly affect how we approach him in prayer. It is key to mention that God has spoken to us first through his Word, therefore we approach him in response to what he has said to us. This reflects how well he knows us and our need for his grace. Prayer, like everything else in the Christian life, is for God’s glory and for our benefit, in that order. Something that I have read and learnt over and over again is that: “If you want to keep your thinking on track, always begin with God and work down to us. Don’t start with us and try to work back to God.” Questions about who God is, what he is like, and how he has acted to save us, should be considered prior to questions about who we are and how we should live and pray. Therefore, we should search God’s Word for guidance on how to pray. When we approach God in prayer we need to be aware that he already knows what we need even before we ask him (Matthew 6:8). So does that mean we shouldn’t ask him for what we need? Of course not; prayer is not optional for a Christian, it is required. The question above is in error because it assumes that requesting things from God is only one-dimensional. God’s foreknowledge of our needs doesn’t negate the prayer of praise and thanksgiving. In fact, if anything it should enhance the beauty of my praise to my all-knowing God. Yes, he already knows what I need, but as his child I have the privilege of articulating to him what is on my mind and heart. How Does It Affect Our Daily Lives? If we believe that when we pray, God listens and answers us according to his will and purposes, then surely this should affect our daily living. There could be more than the following reasons, but let’s dig in to a few! If we believe that God speaks to us through his Word, then we will want to know what he wants us to pray for. We will search the Scriptures and let our prayers be moulded by his truth. Our prayers should evolve from being about us and our problems to being about God and his kingdom, in line with his great glory. Remember, prayer doesn’t change God, it changes us. When we make our requests known to God in prayer, we are acknowledging that we can’t do it on our own and we need him to be at work actively through his Spirit to change our desires to his, and to make our paths straight. This simply means once you have prayed about it, your heart is at peace that you have handed over your worries to one who fully understands and will answer you according to his will. It means that you don’t have to be anxious about anything because by prayer and supplication you have made your requests known to God, and we believe that he gives us peace that no man can understand to believe that he has heard us. Richard Coekin said in his book ‘Our Father’, “Prayer is the highest activity of the human soul”, so in the context of when we don’t pray, we become weak, sickly and laboured because it is such a great privilege to carry everything to God in prayer. In conclusion, I pray and hope we become aware of this glorious gift that we have been given, that the Lord of the universe, whose greatness is beyond our comprehension, actually stops to listen to us when we pray.